A collection of brand executions and creative strategy in practice. Timberland’s advertising didn’t reflect the total span of the brand’s customer base. I verified this insight through social, cultural, and analytical research. After getting the green light to capitalize on this customer insight, I created premium social-first creative ideas and Timberland brand stories. The creative content was successful in helping grow fan content engagement across four global territories and aided in global revenue growth by 6% for Timberland. This project led to larger work for the agency. Adidas wanted to breakthrough the clutter to launch 16 new sneakers (including the inaugural Yeezys) during both NYFW and NBA All-Star Week in the Big Apple. My strategic analysis of the brand, product, target, and competition uncovered the path to tell the best adidas creator, partner, and product stories. I identified a creative direction and local NYC social creators to partner with adidas whose task was to showcase NYFW and All-Star Week narratives in a dynamic, authentic way. 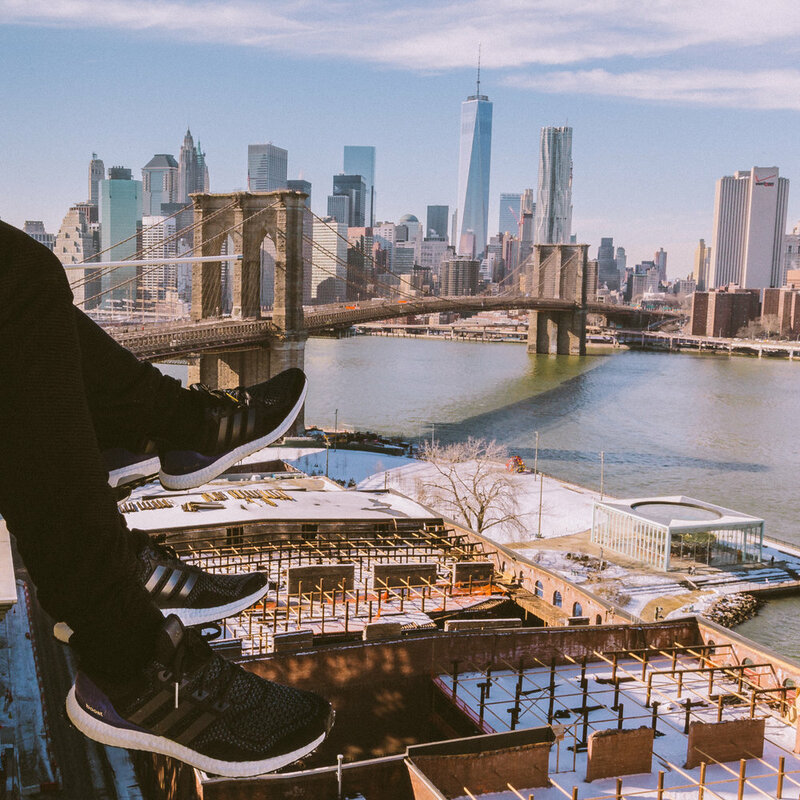 Our NYC social creators not only caught history in covering one of the biggest business paradigm shifts in sports apparel in showcasing the launch of Yeezys and Boost Running shoes. But adidas was able to get higher SOV than Nike, Taco Bell, and Sprite’s combined for NBA All-Star and NYFW, launching the brand onto a path of unprecedented success. I launched iRobot's social brand by leveraging strategy and analytics to develop the right content categories for the target buyer. I uncovered other topical interest that the audience was interested in and would enable a deeper bonding with the brand and product. By extending to secondary audience interests, we were able to grow the company's social footprint and improve on other key metrics. Our work and tactics garnered fantastic results. Our creative content grew impressions by 332%. For our holiday campaign efforts, we grew referrals to irobot.com by 1,100% YOY. GrubHub came to us looking for a more consistent social brand tone and feel while staying true to the light-hearted nature of the company's start-up roots. I was able to utilize social analytics to drive forward thinking comedic social content that resonated well with fans and drove new users to GrubHub.com. The blending of pop culture and food was a win-win where we literally played with food and had a ton of fun doing it. The best news? It was great for helping both the brand and business grow in targeted markets. In looking back on the work, it was groundbreaking being on the forefront of comedy. Samsung came to us to find an authentic way to launch Samsung’s new product - Galaxy Note. The best way to make potential buyers aware of the new product was to partner with credible influencers and utilize the best creative resources we could to create hype. By leveraging our network I was able to identify two up-and-coming talented artists who are now big deals in Molly Crabapple and Dao-Yi Chow - both now big time players in fashion and art respectively. The videos were a really great way to showcase how Samsung Galaxy Note could play a role in a creative's day-to-day life on both brand owned and Complex's editorial channels. MTV came to our team to ask us what Millennials wanted when it came to digital video experiences. I did a comprehensive research report that included behavioral mapping and cultural triangulation of what really makes millennials tick. The report was a major success as the entire company, from the C-Suite to the creatives and producers shared it and used it for company recommendations. This project led to more projects and other new client work including General Electric.